Twenty years ago many Taiwanese businessmen started to open up China. The Pearl River delta close to Hong Kong was one of the first regions which benefited from the economic reforms of the Chinese government as well as the migration of first class companies and manufacturers from Taiwan. 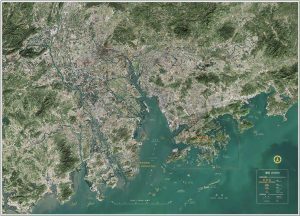 In three decades the Pearl River delta has changed from a rural area to a highly developed high-tech hub. The opening of the Hong Kong-Zhuhai-Macau Bridge and the Chinese vision for the development of Hong Kong and Macau in the Greater Bay Area, is already inspiring new projects like luxury marinas and holiday resorts in a region already called the “Chinese Riviera”. 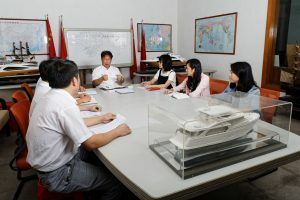 Howard Chen, founder of Selene Yachts, ranks amongst the audacious Taiwanese pioneers who moved to China filled with dreams and brimming with ideas. His family company, Jet Tern Group, was the largest tableware manufacturer in the world in the 90’s. 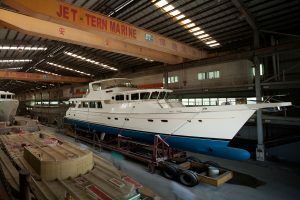 In 1998, Howard established Jet Tern Marine, his first shipyard in Dongguan, swiftly followed by a second one in Zhuhai in 2003. Until the global financial crisis of 2008, 30 to 45 long range Selene Yachts were delivered around the world every year! For Howard Chen, the move from Taiwan to the Pearl River happened during the first life of the eagle. But after suffering the declining orders for his yachts during the 2008 financial crisis, it was time for Howard to begin considering the Rebirth of the Eagle. In order to face the evolving market, he decided to not only improve the quality of his yachts, but also started to design new models such as his Selene 92 Explorer, his first collaboration with Dutch architect Guido de Groot. In 2017, the Selene 92 Explorer was listed as one of the top ten best cruisers of the year. The symbol of the Rebirth of the Eagle is deeply embedded in Chinese business culture. 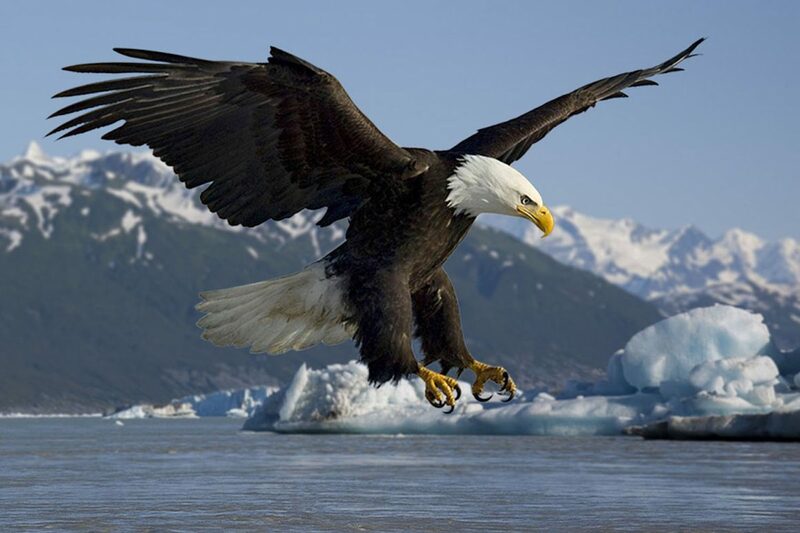 The new beak represents a new business model with a company in constant evolution to gain market share, whilst the new claws symbolizes strong manpower and the efficiency of teamwork, and the new feathers indicate that the eagle is once more light enough to catch the ascending wind currents in order to soar as high as the winds will allow. With the most profound congratulations, I am thrilled to see the new “Selene” website come online. The expanded role of the internet and associated website’s and subsequent advertising will most certainly provide excellent returns to the “Selene” brand. I, however, have found myself in a age related health issue and, as a result, have unfortunately been forced to sell my beautiful Selene, “Doane Victory”, (Selene 4707 with John Deere 6081 FM3 330hp diesel power, delivered to me just prior to 9/11/2001). I spent ten years as a full time vessel master and live-aboard owner. 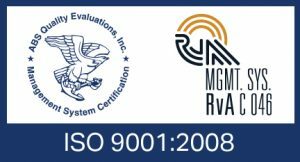 After obtaining my United States Coast Guard Master’s license, I spent countless hours with paying passengers cruising the waters of the San Juan Islands and the Canadian Gulf Islands. I can not explain how much 4707 (Doane Victory) meant to me after the passing of my wife. Having the boat was a strong mental healing and strong spiritual factor in assuaging the period of deep grief I lived through. In addition, the kindness of Dan and Jan Fogel, in allowing me to work in the Friday Harbor Yachts environment, helped a great deal as that added additional Selene support to my world. I am so pleased to see the new presence of Selene Yachts on the world-wide web. Thanks for your contribution to our website! All this reminds me the good old days of Friday Harbor Yacht Sales… And the Selene Rendezvous 2006 at Roche Harbor. Good memories! 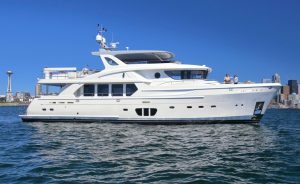 We will always remember “Doane Victory” and the beautiful story of your yacht! I am looking forward to seeing you again in Friday Harbour, maybe during the next Selene Rendezvous… I will be back !